It's official: It's bloody cold outside (technical meteorological term) and our inner thermostats have switched from cosy winter layers into full-blown batten-down-the-hatches survival mode. Suddenly our small selection of old jumpers and saggy cardigans is seeming laughably insufficient—mission Get Warm has now commenced. To help you on your way, we've been scouring the high street, trying to find the most expensive-looking (but purse-friendly) jumpers that will fulfil all your cold-snap needs. Our results show that Arket, H&M, Jigsaw and Uniqlo are looking particularly good in the knitwear stakes this season. Jigsaw is all about the elevated classics, Arket is fab for super-warm alpaca-blend pieces and chunky fabrics, H&M, meanwhile, is mixing it up with cable knits and stripes, and finally, we've plundered the menswear section of Uniqlo (yes, really) for luxe cashmere. Scroll down to see the 16 knitwear pieces we want to get our hands on this week. Gen Z yellow will be a must-have addition to our spring wardrobes. A roll-neck jumper gets given the fashion treatment thanks to an abstract floral print. We'll wear this with the button undone and tucked into high-waisted tailored trousers. We've tried this on IRL and can confirm it's as chic and cosy as it looks. Alpaca plus roll-neck is a recipe for cold-weather success. 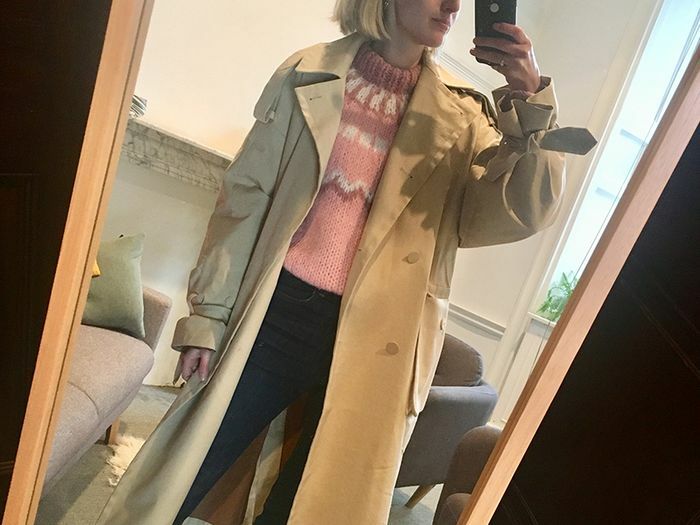 Pastel pink is an easy way to kick your knitwear collection into 2019. The colour-blocking on this merino wool number is so chic. An out-there colour like burnt orange is a surefire way to make an outfit look more expensive. Ice cream hues are all we want to wear this season. We'd style this cardigan with dark denim and lace-up chunky boots. The exaggerated cuffs are what makes this H&M knit stand out from the crowd. Yellow cable knit is fun and feels fresh. Buy this oversized and cinch with a chain belt. You can't go wrong with crewneck cashmere. Opt for a smaller size and tuck into your fave pair of wide-leg trousers and add a black leather belt. A Breton-stripe jumper will never age. Wear with everything from jeans to midi skirts.